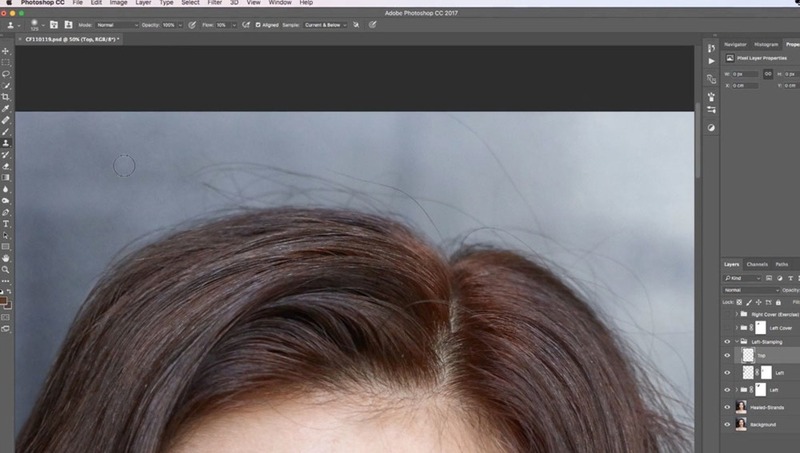 Hair retouching is something that most retouchers and photographers cringe to think about. It's also something that we really need to be fluent in because the situation will come up where there will be things you need to fix. 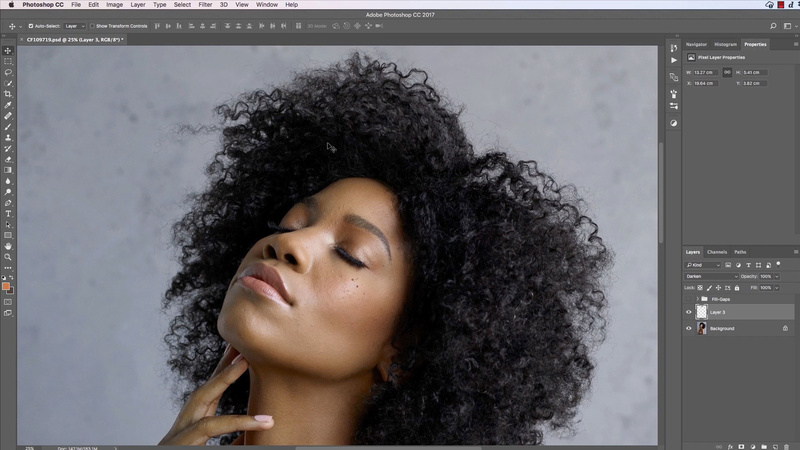 The Hair Retouching course by Retouching Academy with Michael Woloszynowicz is a full overview of the variety of hair issues and how to fix them. There are skills that I believe are good to have, even if you don't choose to always exercise them. In this course you'll learn how to graft in hair, clean up edges, paint new strands, shaping, contouring, and more. 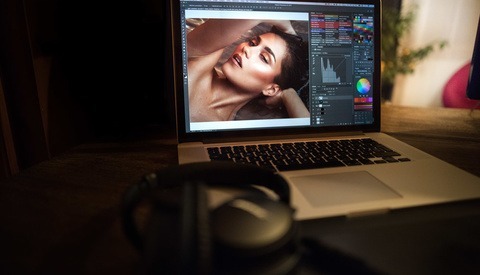 Many photographers' workflows might be suited where they won't choose to graft in hair and make something perfect. 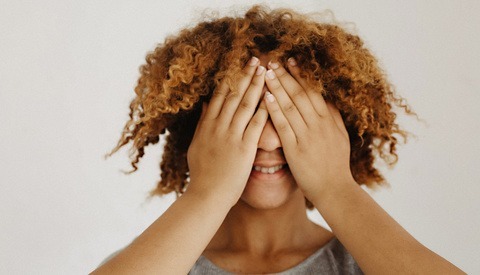 Even if that's the case you should still have these skills in your toolbox because you never know when a special case will come along where you need to use it. Also provided are sample layered files, actions as well as Photoshop brushes. Demonstrating the included hair brush for Photoshop, and why some of the settings are chosen which was a specific portion of the course where I learned something unrelated to hair but how some of the jitter effects that are less often used, work. 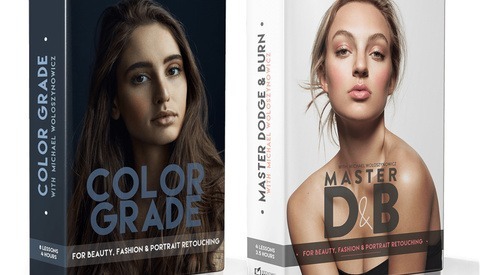 The course goes over every part of hair retouching from the basic everyday stuff like cleaning edges that you probably should be using consistently, all the way to shaping, contouring, and extensive work for a beauty campaign. So don't think that just because you may not shoot beauty that there isn't something very useful in here. Often within tutorials like this, I tend to find something useful that may help me in other ways and this course was no exception to that. 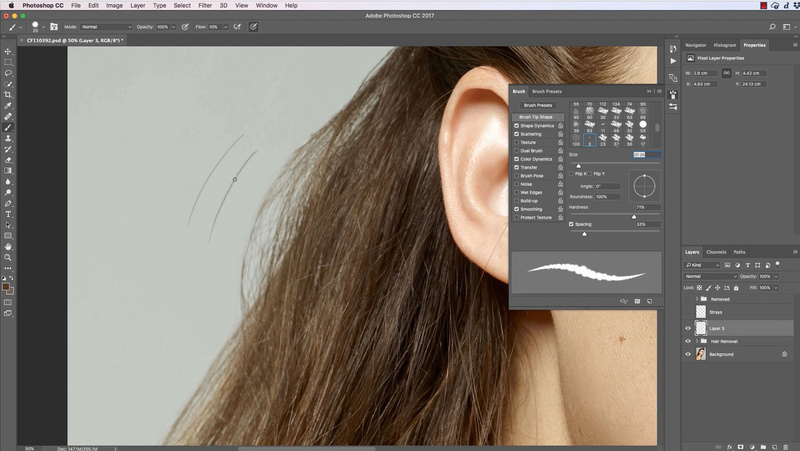 Woloszynowicz discusses the custom brush that's provided, and what I like about his teaching style is that he doesn't just give you a brush but he explains some of the reasons and also the settings of it which happen to be applicable to other facets of retouching as well. That is a mark of a good instructor or course in my opinion. You will learn how to paint hair strands and make them look realistic, while having variance in color like a real hair strand and adding noise to further the realism. Interior (across subject) and exterior (around subject edges) cleanup, filling gaps, contouring, and more. I definitely feel this is one of those cases where there are some fundamental skills, both basic and advanced, that are necessary to have in your toolbox. Woloszynowicz is a fantastic instructor, with a crisp clear voice and pleasant speaking, I really enjoy listening to him talk and he actually is the first instructor I've seen to speak a faster pace that I didn't have to speed up on viewing. At under four hours, this is a perfect course to just do within a few days while exercising or sit and watch in its entirety at once. I would assume that most folks won't view this as one of those exciting "how to do this amazing special effect," but these bread and butter type courses are what will make you better and ultimately translate to you being more efficient which translates into more money in your pocket. You can pick up this super useful course for only $74 in the Fstoppers store. Review of Two New Post Processing Tutorials from Retouching Academy - Now Available in Fstoppers Store!